Montgomery, Ala.— The Alabama Tourism Department today released its top 10 events for 2013. The list includes events in Mobile, the Shoals, Birmingham, Huntsville, Wetumpka, Gulf Shores and Tensaw. The tourism department comes up with the list each year and selects the top 10 based upon significant anniversaries, unique events and those with large attendance. Nearly 1,900 events are scheduled around the state for 2013. The art show is celebrating 50 years and is always held on the first Saturday in October. Meet the artists and enjoy seeing and purchasing their works of art in a beautiful wooded park setting. www.bluffparkartshow.com. 9 a.m.–5 p.m.
arts and crafts, a retail marketplace, children’s activity village, 10k/5k run, live entertainment, and of course, shrimp. Thurs.–Sat. 10 a.m.–10 p.m.; Sun. 10 a.m.–5 p.m., www.nationalshrimpfestival.com. This is a Christmas extravaganza with arts and crafts, parade, food, quilt show, classic car show, entertainment and activities on the Coosa River culminating with a spectacular fireworks exhibition at dusk. www.wetumpkachamber.com. 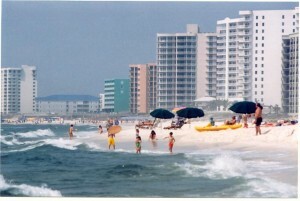 For a complete list of 2013 events visit www.alabama.travel.